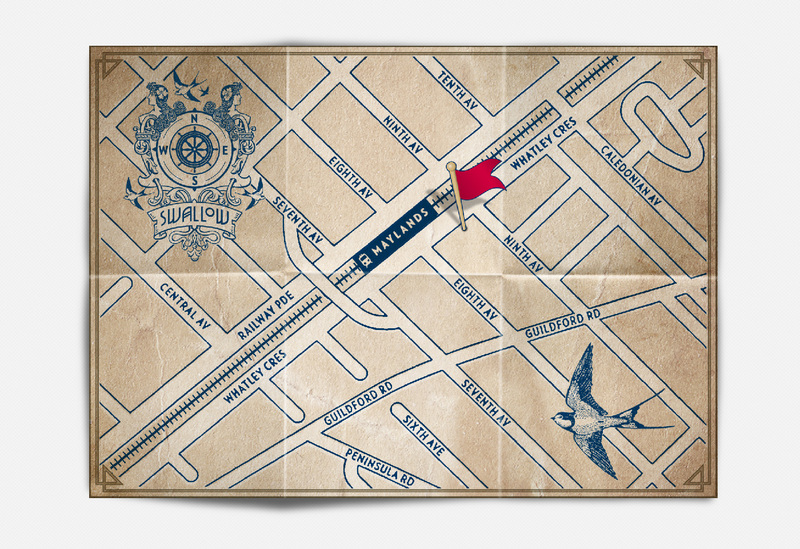 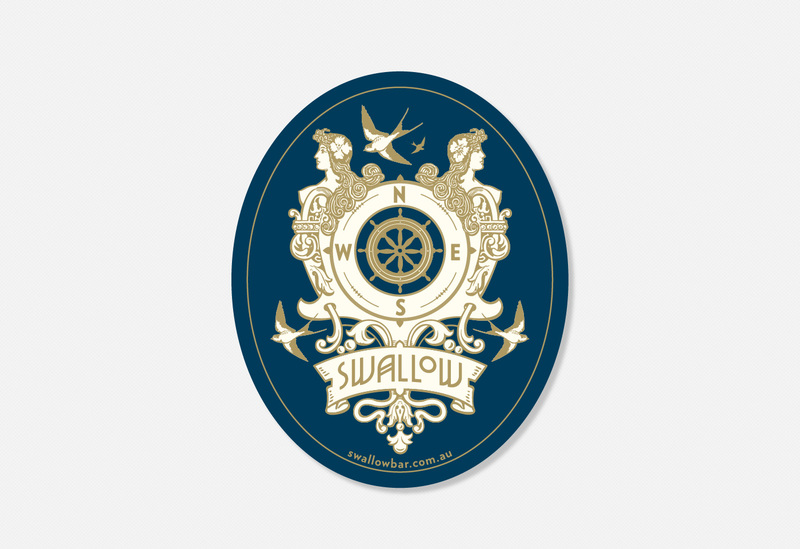 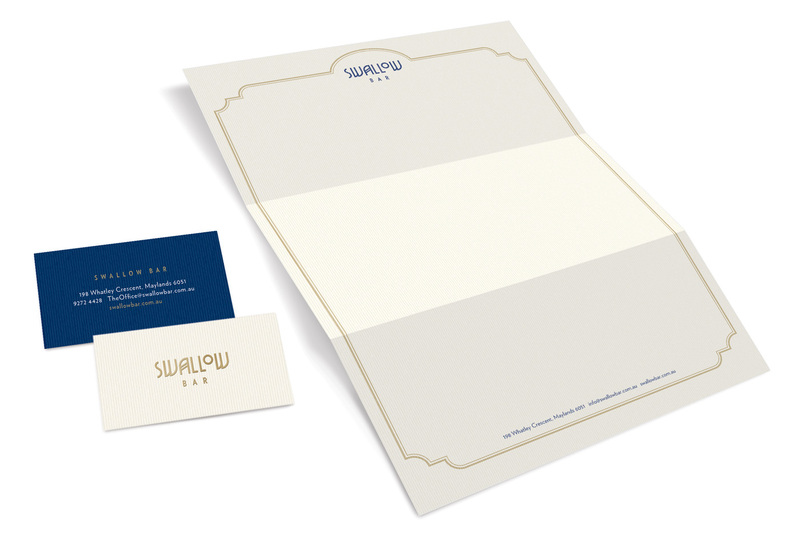 Swallow Bar is warm and nostalgic small bar and Zendoke’s local. 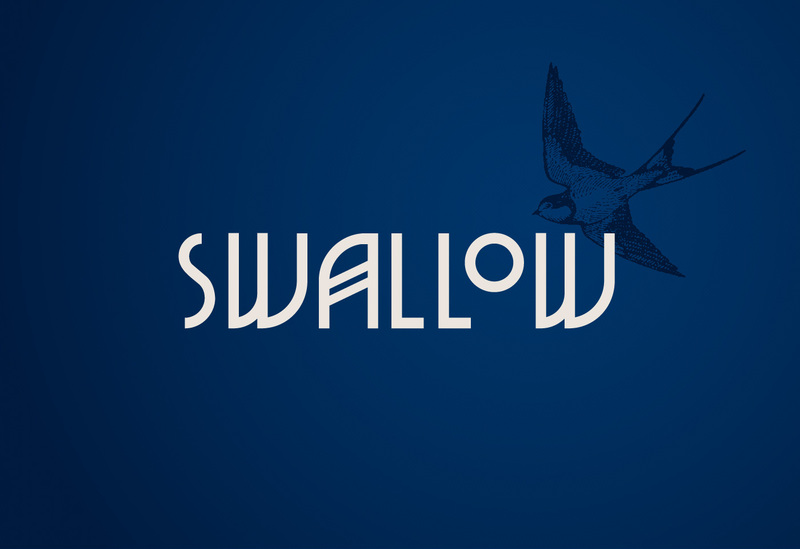 The logotype is a visual representation of bird wings inspired by the Art Deco bars of Paris with a bit of pirate mixed in for good measure. 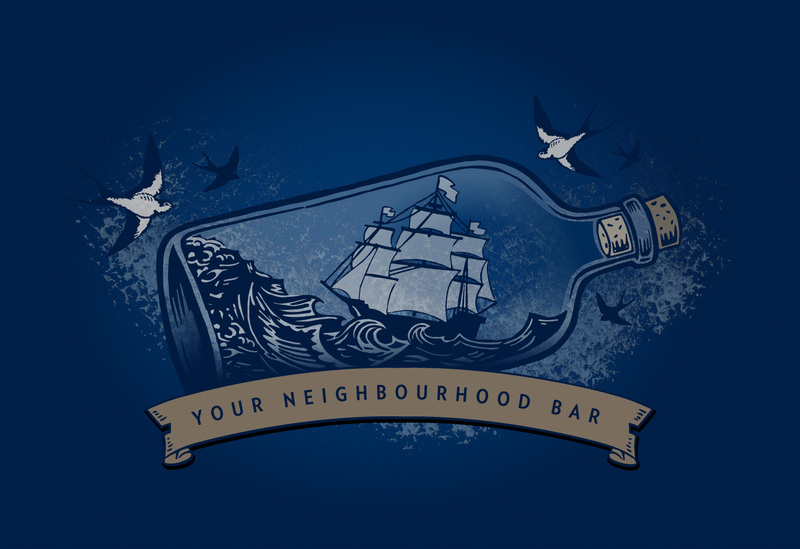 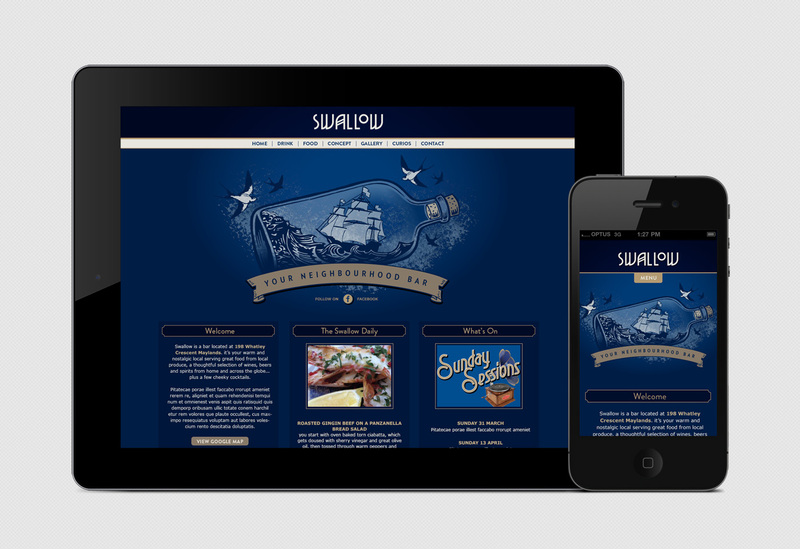 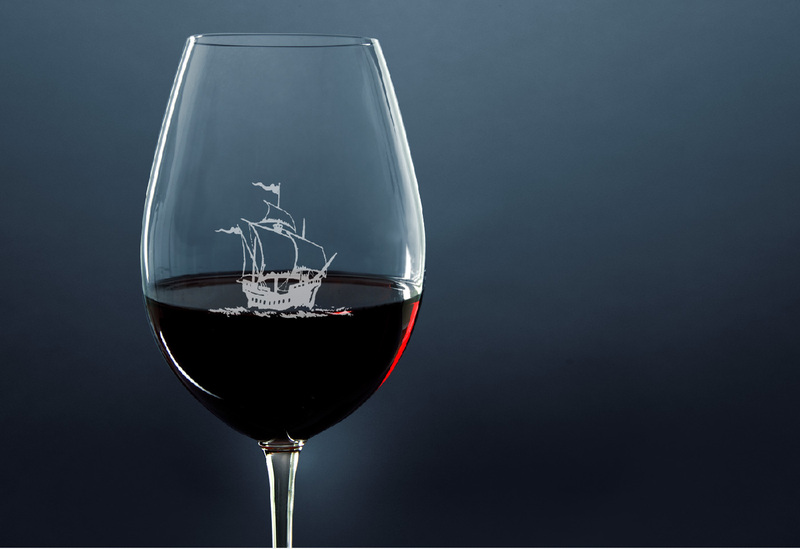 This Pirate-Deco theme continued through the creative suite, on such items including; signage, coasters, menus and website.